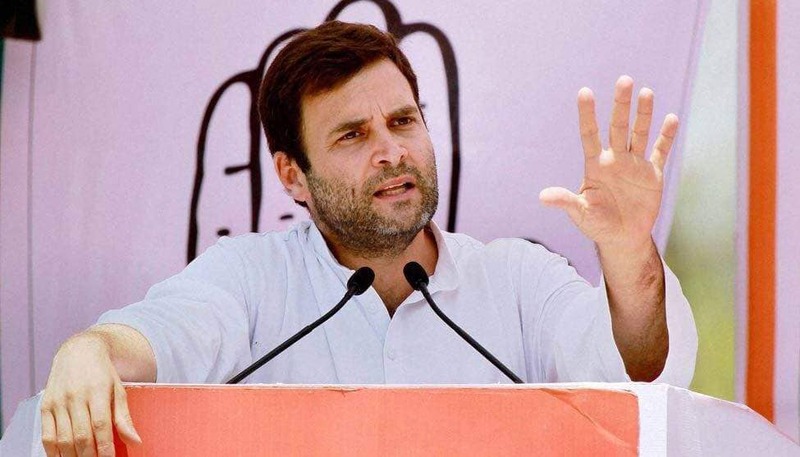 Hyderabad: Hitting out at Rahul Gandhi, the BJP has said that the Congress president suffers from ”Rafale phobia” and accused him of using disgraceful language in the most shameless manner while referring to Prime Minister Narendra Modi at various platforms. “Rahul Gandhi has “Rafale phobia”. The kind of language he uses against the Prime Minister is wrong. How many corruption charges are against his father (former Prime Minister Rajiv Gandhi) in Bofors case? What has been the corruption record of Indira ji (Rahul`s grandmother and former prime minister)? But we have never used the kind of language he uses against Prime Minister Narendra Modi,” Union Minister Ravi Shankar Prasad said in Hyderabad on Sunday. “Since 1985, the Indian Air Force had not been given fighter aircraft as there is a demand for many years. The then Vajpayee government had initiated the process in 2001 but it was not fulfilled even after 10 years as we lost the power. The Rafale deal was finalized after coming to power by the Narendra Modi government,” he added. The Union Minister reiterated that the price of Rafale jet is nine percent cheaper as compared to UPA`s price. “As per the Army Defence Purchase Manual, the Head of the government will purchase directly. Therefore it is decided to purchase 36 Rafale Aircrafts. The Rafale price is 9 per cent cheaper and with weapon loaded is 20 per cent less as compared to UPA`s price,” he said. Prasad also accused Rahul of playing with national security by raking up the Rafale controversy despite clarifications from the government and a clean chit from the Supreme Court..
Prasad was in Hyderabad to participate in a meeting with the CEOs of the IT sector. Praising the controversial Rafale deal, he said the fighter jet deal made at the time of the BJP government is one of India`s historical achievements. “Initiatives by Prime Minister Modi like Digital India, Startup India, and Make in India are playing a great role in changing the profile of the country,” he said. “India is also the sixth biggest economy of the world and surpassed France. By this year-end, India may surpass the British economy and emerge as the fifth economy. Indian economy was in the 11th position when the Congress-led UPA government was at the Centre,” Prasad added.